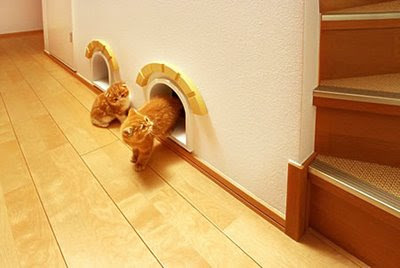 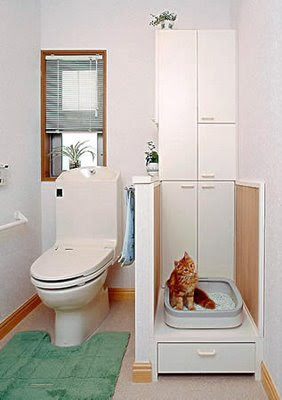 Collection of 'Creative Cat Houses and Cool Cat Bed Designs' from all over the world. The Native American Teepee: This cardboard house comes from the Canadian company Loyal Luxe; the tipi package contains three cardboard balls and is available with six interchangeable decorative options. It comes flat and is easy to assemble. 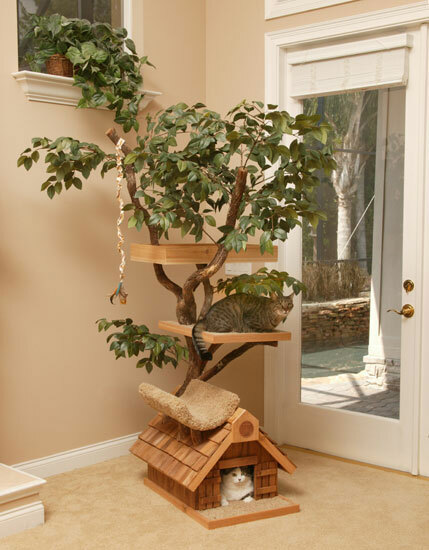 Cat Tree House: This cool cat house is hand crafted and comes with a real tree. 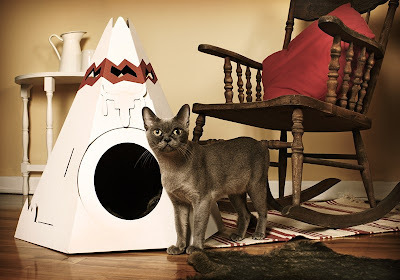 The Kokon Cat House: It's a modern and innovative cat house called "Kokon"; it comes from Pousse Creative. 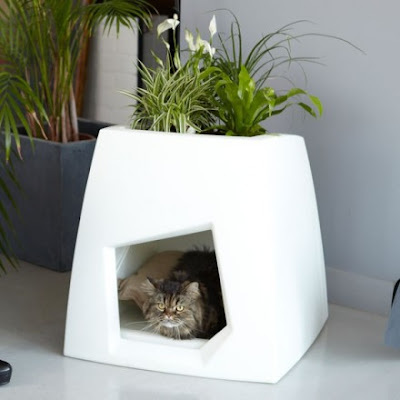 Atop of it you can plant a small roof garden and it comes with a small pillow for your cat to enjoy a nice nap. 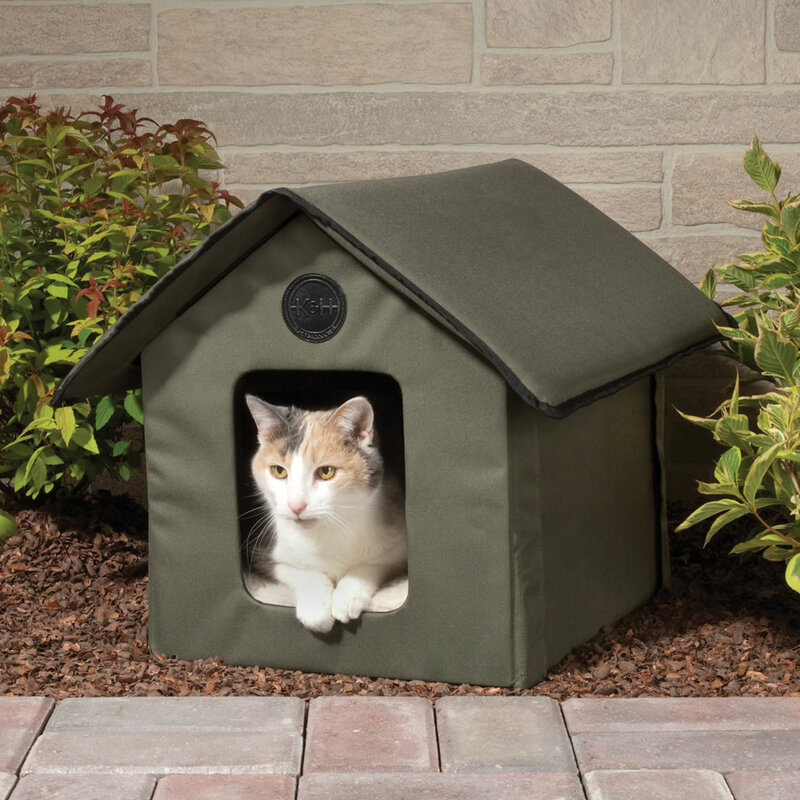 Heated Outdoor Cat House: A removable 20-watt heater inside the floor of the house provides a comfortable, dry surface for cats to lounge in cool temperatures. 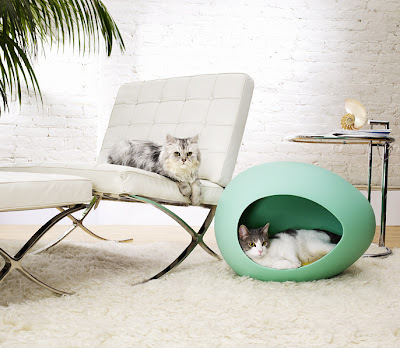 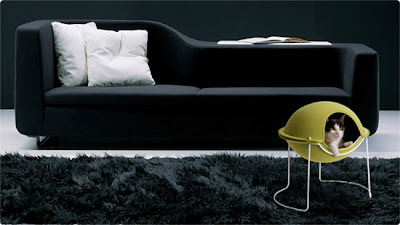 pEiPods: pEiPod looks futuristic and sleek, comes in bright colors with various pillows to choose from. 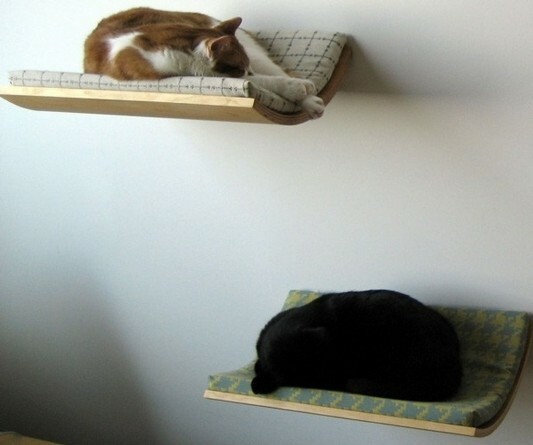 Curve Cat Bed: Designed by Akemi Tanaka, it's a minimalist comfortable bed for cats that can be fixed to the wall with ease. The Canadian Cabin: Another one from Loyal Luxe; similar to the "tipi" it comes flat and is easy to assemble. 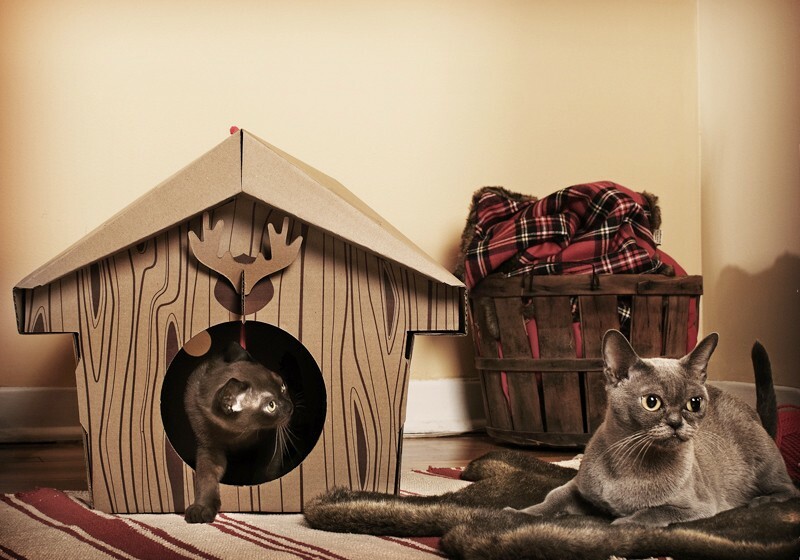 The package comes with three cardboard balls, a textured cardboard carpet to place inside the chalet and four interchangeable decorative options. 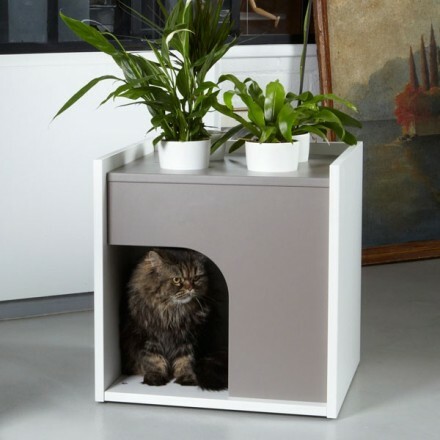 K-Berth Cat House: Another one from Pousse Creative; this wooden cat house comes with four built-in planters and a small pillow for your cat to enjoy a nice nap. Hepper Pod Bed: The Pod bed is elevated above the ground while the interior is made of sherpa fleece and microfiber for maximum coziness. 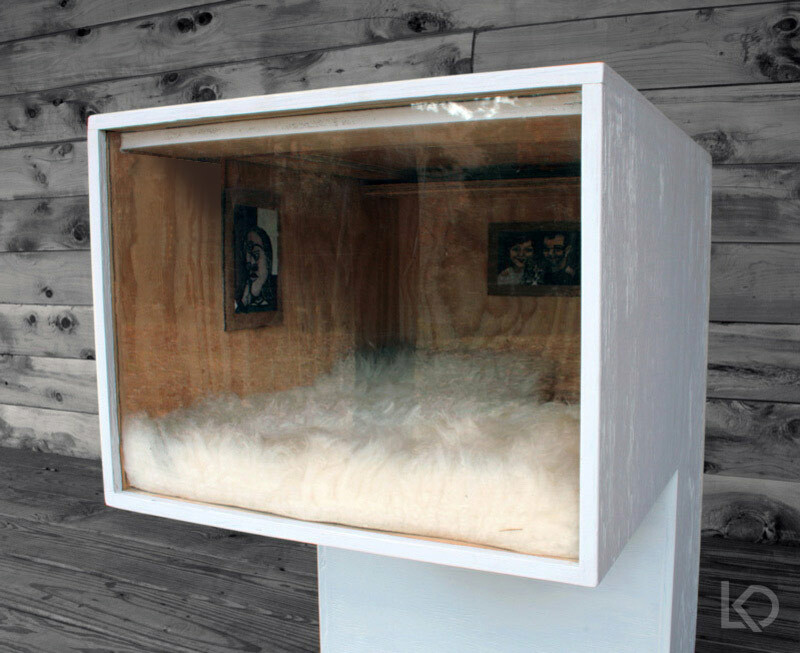 Cat Cabin: The Cat Cabin from the house of HomeBasic is handmade of wood and liana. 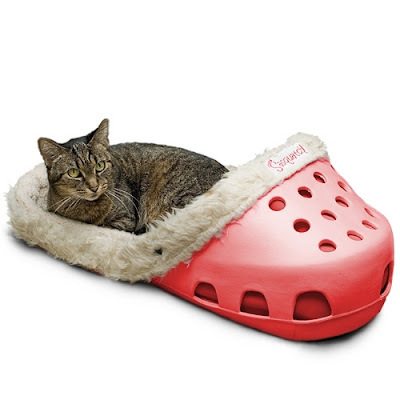 Sasquatch Cat Bed: It looks like an oversize plastic shoe; it measures 26 inches long x 10 inches tall x 13 inches wide and comes in variety of colors. Leo's Cat House: Leo Kempf designed this for his cat Olive. 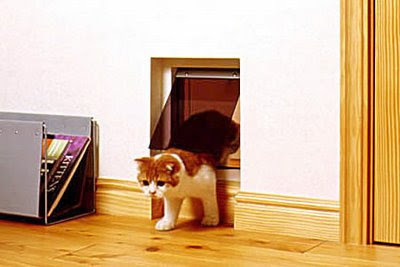 The cat can enter through a door at the bottom side, then ascends a surface that takes her to the upper level. 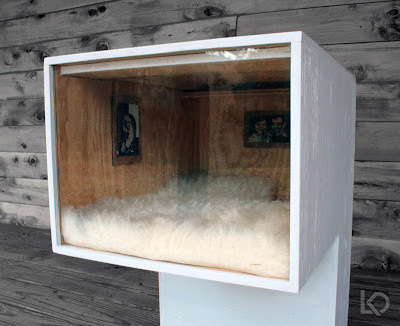 The front wall is in plexi-glass while the floor is made from a thick old sheepskin rug. 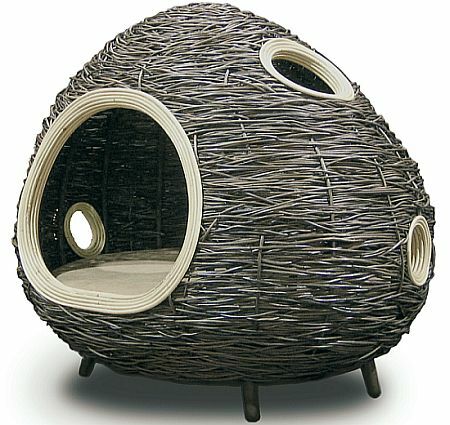 Apart from this there is also a big cardboard scratching porch. 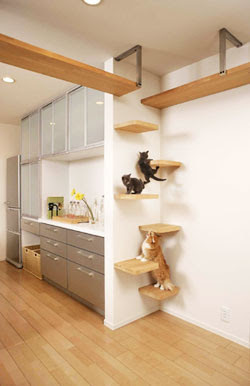 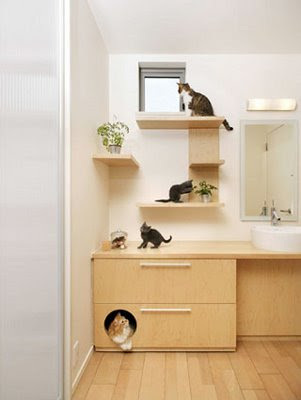 Modern Wooden Cat House: These modern cat houses can be customized as per your specifications. 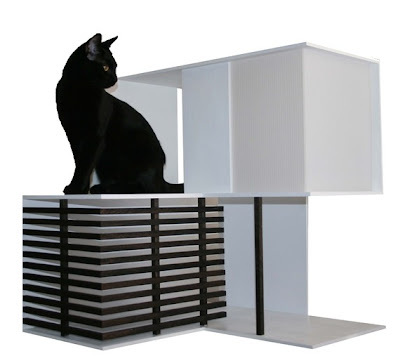 Cat Condo: The DeLuxe Cat Condo comes as a flat pack and is easy to assemble; its stylish and functional, and it features two pull out drawers for your cat to hide, eat and sleep in comfort. 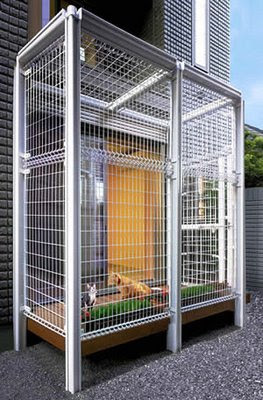 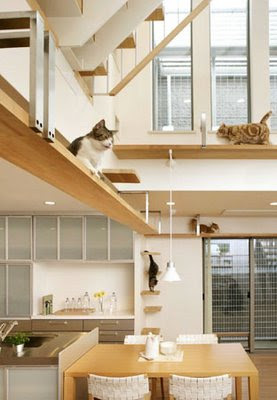 Plus-Nyan House: Plus-Nyan House by Asahi Kasei, Japan features: open air cat walks, climbing steps, cat doors in every door, deck built in to the window, extra space in the bathroom designed for their space, cat room hidden under the stairs.